Hi my name is MC WENG (REN25534) Meridin Properties (Penang). 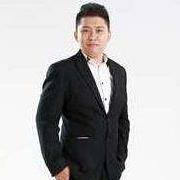 I'm a Registered real estate agent with the board of valuers and appraisers of the Estate Agents of Malaysia. In my years of experience as a professional Realtor, I'm specialize in Selling, Renting or giving good insights of the property market condition which will help you to make the best real estate decision possible.It's my pleasure to assist you if you looking to buy & rent property and sell & let your property. I am here to provide my professional service to you in real estate industry.